Here is a photo of Paruroctonus luteolus from Dateland, Arizona near Yuma. 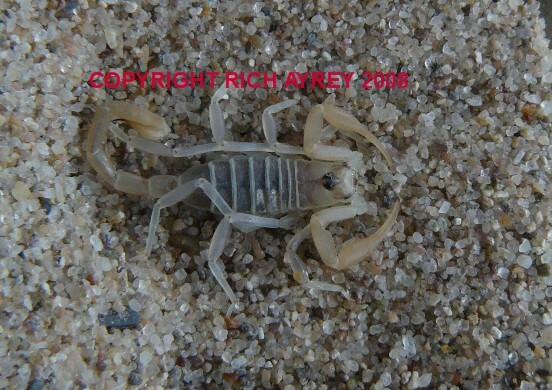 I am fortunate to have pics of Arizona scorpions like these on my web site. This photograph by Rich Ayrey, do not reproduce any photographs without the written permission of the photographer. Arizona Scorpion page created 09/27/08. Arizona Scorpion page last updated 01/17/2017.